Visit Tuscany on a Budget - Affordable and budget tours to Tuscany with local experts - Tuscany on a Budget, one of the Italy on a Budget tours' branches, is a travel company based in Florence and specialized in the youth travel 18-35 ‘s market. 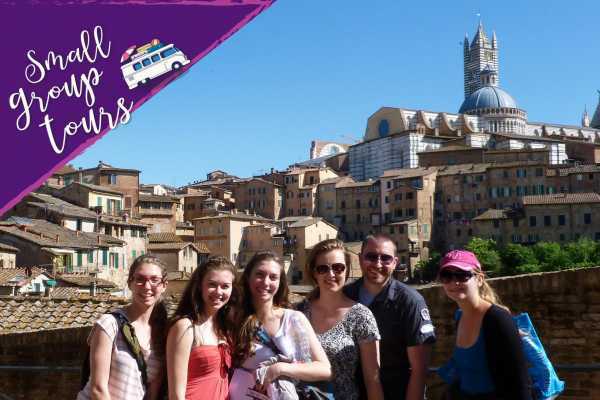 Tours for STUDENTS, BACKPACKERS and TRAVELLERS ON A BUDGET in Tuscany. Tuscany on a Budget is part of the Italy on a Budget tours family , a travel company based in Florence, and it is specialized in affordable and budget tours in Tuscany for all travellers willing to learn, taste and see what the territory has to offer in a fun environment together with a passionate, lively and knowledgeable team. Our team is composed of local guides and we all speak fluent English. We love sharing the passion for our home land, all the secrets, the traditions and the culture of Florence and Tuscany with our fellow travellers with interesting stories, fun facts and lots of laugh .